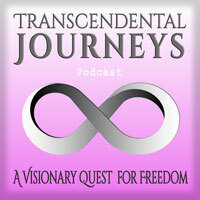 In this introductory podcast episode, the Transcendental Journeys Podcast is introduced. Some of the recordings in the follow-up episodes might be of mixed medium. Your host, Omananda has used different recorders throughout his journeys across the world that took him nearly three decades around the world! He’s still on the move and the audio ranges from hidden devices with poor quality to high quality microphone recordings during filmmaking. PS: When traveling it’s not always possible to bring large amounts of studio equipment. Omananda has been inspired to record while walking or driving. Wind sounds are sometimes hard to avoid, but whenever possible wind-protectors have been used during recording. In future podcast episodes, binaural microphone recordings come into play and the audio of that is dimensional and very real, so buckle your seat belts! Hopefully you will love this podcast nonetheless and get inspired, feel elevated and transcend all that is not real. 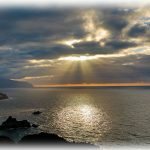 Please send your feedback, tell your friends about Transcendental Journeys, and check out the website! The vice president of the Native American Peyote Church speaks in this podcast. The recording was taken at night in a windy location on top of Cerro Quemando in Mexico. What he says is powerful. (Never mind the wind sounds). There are didgeridoo segments in this podcast too, quotes, and “walky talkies,” which are recordings when talking while walking. Enjoy this podcast and subscribe to never miss an episode again.